Very fun place to stay! I'm sure it's even funner in the not winter months, when everything is open. Huge, beautiful beach. Clean and relaxing. Foot showers are great touch. Parking can be a bear, but well worth the trip to sit on the beach!! Loved the beach! Spent a lot of time by the water and eating at local seafood restaurants! Beautiful family beaches, amusement parks, great shows and tons of fun stuff to do. About an hour and 15 min south. 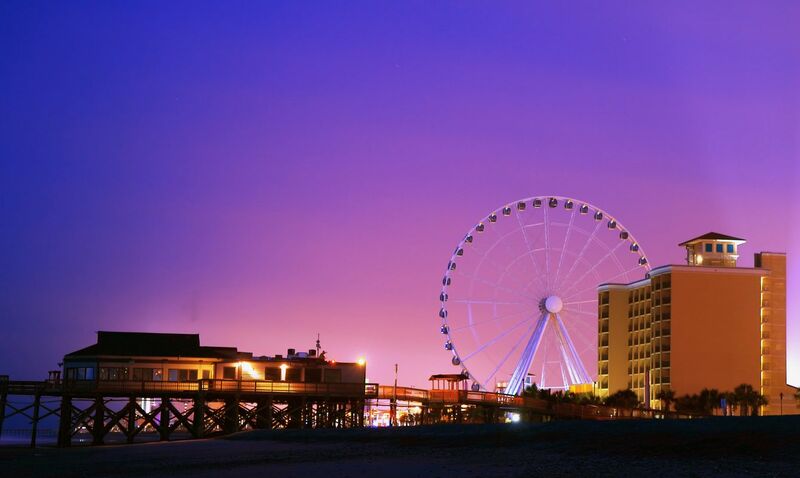 Beaches, boardwalk, rides/ferris wheel, shops and restaurants. Really fun but totally tacky old school beach destination with bars that play 'Sweet Home Alabama' and arcades that have skee bowl. I loved it but you must accept it for what it is. The people wandering around when we were there looked like they had raided a Marshall's store in 1995 but it was a fun place. Just don't expect anything cutting edge. Kind of like the Blackpool of America if you're familiar with that destination. That said, I would return as I didn't get to do the go karts or Ferris wheel this time around. I didn't get much of a chance to explore the town, but the beach sure is nice here. It is built up with a few high rises, but the off-season was pleasantly quiet. I went here with my bf, who is a native to this area, and fell in love! This place has the environment that of a beautiful and calming place! Beach city! Everything was so inexpensive, yet very high quality, the people were courteous, and there were lots of fun activities to do! Dirty Dons had the best oysters and shrimp, and Pier 41 had the best flounder - so flaky, and literally melted in you mouth. I had a very rewarding, fun, and enjoyable vacation! I would definitely go again!